All of our proprietary wireless devices and software are compatible with our breadth of products. These miniature network secure transmitter-receivers are plug-in compatible. Furthermore, our software is digitally encrypted for security and safe transmission in hazardous environments; Compliant with Mil-Spec and AFMAN safety requirements for use in explosive environments. Take your wireless device to another level with our tablet applications. Choose from a number of wireless tablets and sizes. We have ruggedized our tablets with top of the line, drop tested cases for increased protection. 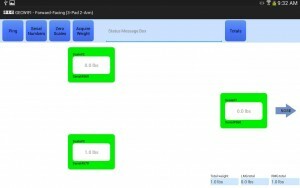 The functionality of this wireless application is packaged in a secure wireless meshed network. The tablet applications have the ability to communicate with up to 28 Scales Simultaneously. GEC has partnered with Lockheed Martin’s iAWBS and has designed this product to interface with the Automated Weight and Balance System (AWBS) with GEC’s wireless aircraft weighing system(s).It allows the capture of weights directly from the weighing system into the AWBS Form B Worksheet. This allows complete integration from the aircraft weighing back to AWBS on the desktop. 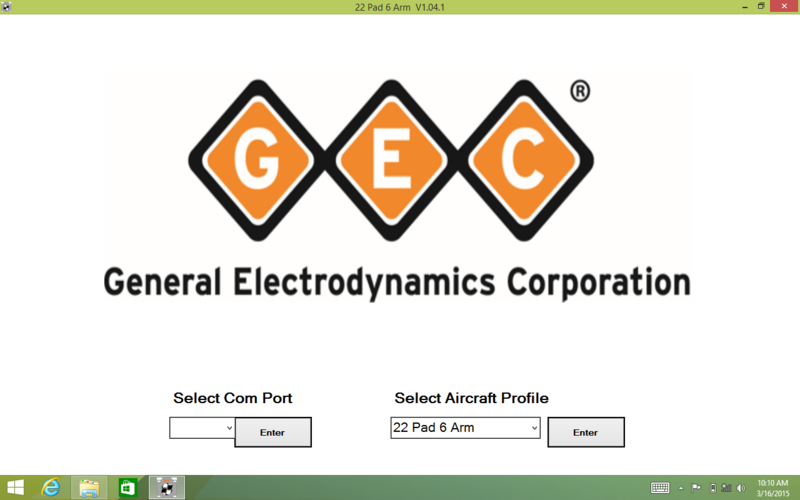 GEC’s privately developed interface (iEXP) has been field tested by USAF and FMS Customers throught the F16 community. It an also be used as a stand alone to manually enter the data during the weighing. 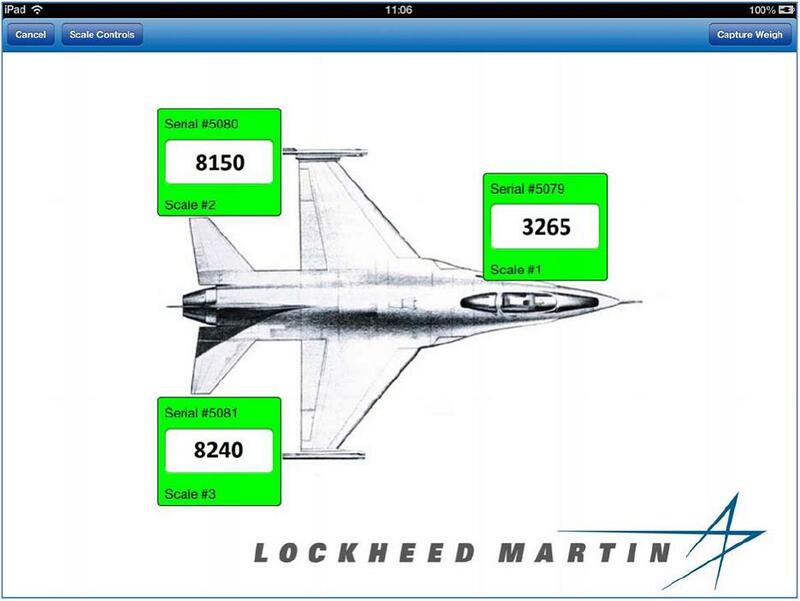 It allows the user to complete Form B during the weighing process with red and green indicators indicating whether the weighing is within the required tolerances while still in the hangar. 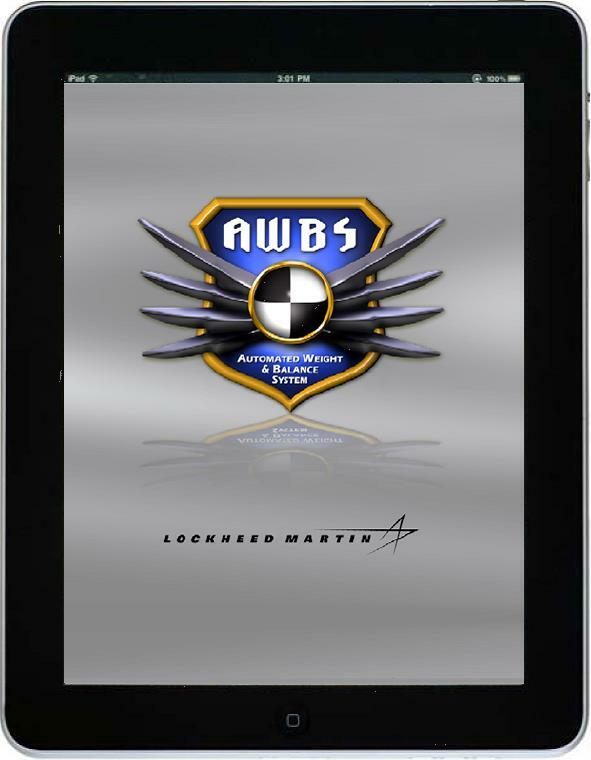 This app brings Lockheed Martin’s state-of-the-art weight and balance software, AWBS, onto a mobile platform for use during the weighing. GEC has again developed a wireless system to adapt to our customer needs. 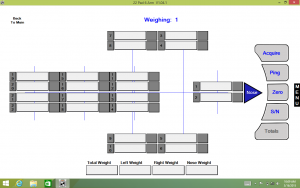 Our suite of PC software is the most customizable weighing software available. The Windows based application has the ability to deliver robust wireless data within the luxury of a laptop computer. 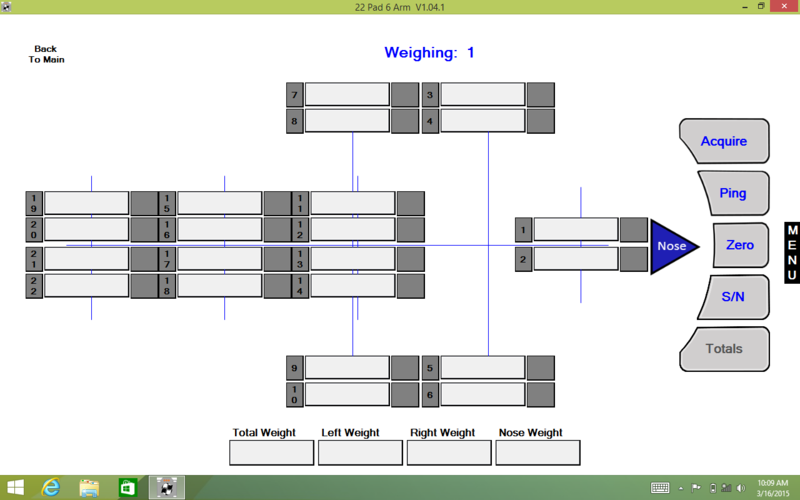 The software will easily guide you through the weighing steps with a selectable tutorial option if needed. 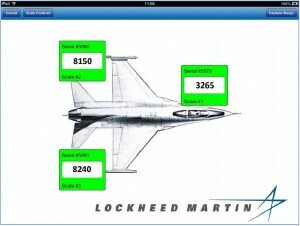 Customize your device to your specific aircraft configurations and populate the data you require. Our customized reporting makes it simple for you to weigh, review, store, send, and print without having to duplicate similar weighing reports. 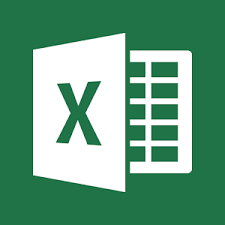 Export your reports in either Microsoft Excel® or Text formats. You can disseminate weight and balance data quickly and efficiently in one key stroke or click. The PC allows you to network with up to 28 Scales simultaneously. 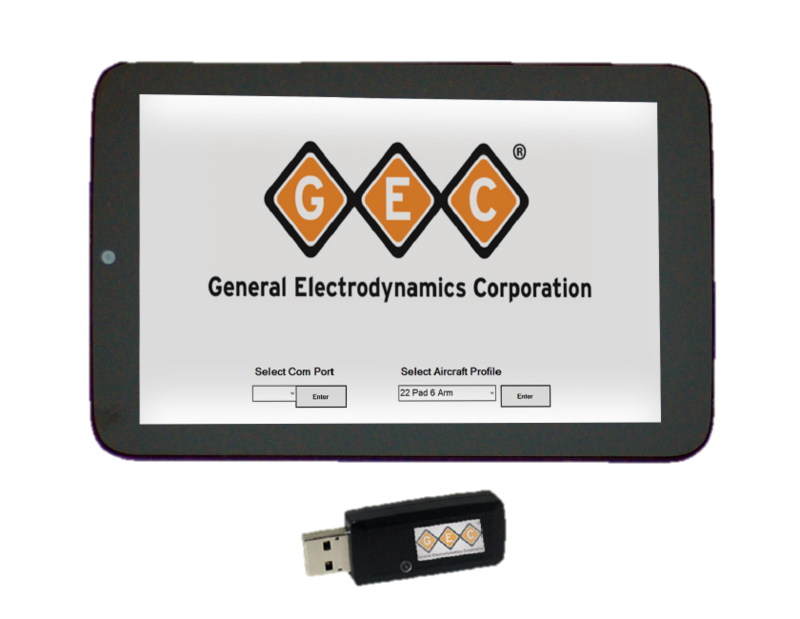 The GEC CG Mastermind© HandHeld Computer offers proprietary Aircraft Weight & Balance software coupled with Microsoft© Windows© CE.NET 4.2 operating system and Intel XScale© Technology 200 MHz processor. With Touch screen capability, designated “Hot” keys and sunlight readable display, the CG Mastermind© offers a variety of interface capabilities. 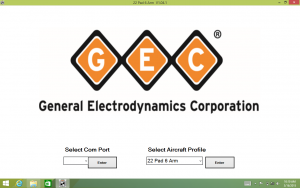 The GEC software allows the operator to select from over 300 aircraft configurations, acquire weights using wireless communication from either GEC platform or top-of-jack load cells. 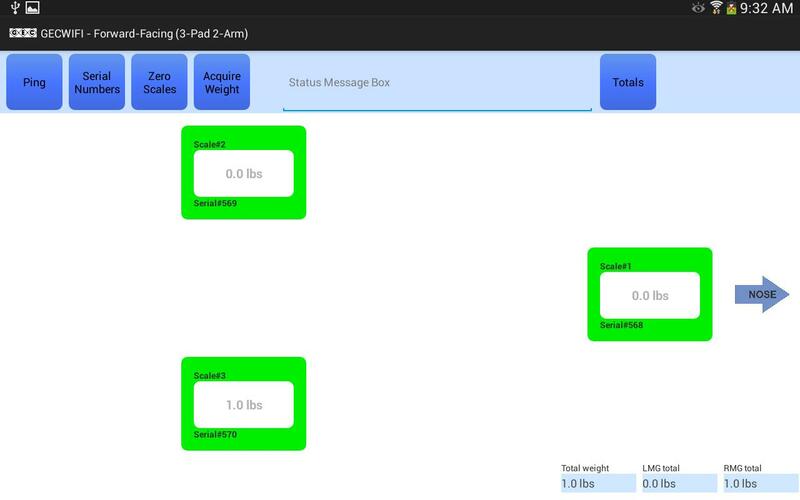 The weighing results can be viewed instantaneously, stored, downloaded or printed in a standard weight & balance report format. Data includes, moment arm, total arm weight, gross weight, reaction point weight, lateral weight distribution and CG in both inches and % MAC. Ruggedized for use in harsh conditions, IP67 protection with rubberized shock protection, ideal for use in any environment and condition. Exceeds USAF AFMAN 91 requirements for use and transmission in explosive and dangerous conditions and fully compliant with MIL-STD810F. Click here to get your aircraft and truck scales wireless today!